04-08 CHRYSLER CROSSFIRE SRT6 SLK32 C32 POWER STEERING PUMP ASSEMBLY OEM 67K!!! VEHICL E MA KE : 2005 CHRYSLER. MOD EL : CROSSFIRE SRT6. UP FOR SALE: POWER STEERING PUMP ASSEMBLY. GOOD LUCK. Srt6,red,3.2l. Model: CHRYSLER CROSSFIRE. This item is from a 2005 CHRYSLER CROSSFIRE. Power Steering Pump Electric Assist Motor. Year: 2005. Labor is not covered by warranty. Fit 03-10 Chrysler PT Cruiser Dodge Neon SRT4 Turbo 2.4L DOHC Oil Pump VIN S 8 Replace OE Part #: 4884390AB. 2010 Jeep Grand Cherokee. 2009 Jeep Grand Cherokee. 2008 Jeep Grand Cherokee. 2007 Jeep Grand Cherokee. 2006 Jeep Grand Cherokee. 2005 Jeep Grand Cherokee. 3.7L / 4.7L / 6.1L. Model: DODGE CALIBER. Power Steering Pulley. Condition: 134k. Part Grade Abbreviations. cc = Credit Card size units. C = Greater than 200k miles. B = Greater than 60k miles and less than or equal to 200k miles but greater than 15k miles per year. Nice Condition 2007-2011 Dodge Caliber SRT-4 power steering pump. What you see is what you get. 2003 Dodge Neon SRT-4. 2004 Dodge Neon SRT-4. 2005 Dodge Neon SRT-4. Ensure Proper FitTo confirm that this part fits your vehicle, enter your vehicle's Year, Make, Model, Trim and Engine in the Compatibility Table. Nice Condition 2007-2011 Dodge Caliber SRT-4 power steering lines OEM. What you see is what you get. Power Steering Pump & Pulley Assembly 5093985aa 5290139ab Oem 8.3l V10 Dodge Ram Srt10 2005-06; Viper 2003-06 . Make: 2005 CHRYSLER CROSSFIRE SRT-6. SIDE SKIRT. Side: FRONT RIGHT. 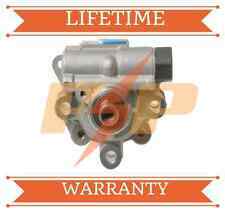 Power Steering Pump & Pulley 52106842al Oem 8.3l V10 Dodge Ram 1500 Srt10 2004 Only . Model: DODGE NEON. NEON 03-05 turbo. Power Steering Pump/motor. Part Grade Abbreviations. cc = Credit Card size units. C = Greater than 200k miles. B = Greater than 60k miles and less than or equal to 200k miles but greater than 15k miles per year. Power Steering Fluid Reseroir Bottle Tank W/ Mount, 8.4l V10, Oem; Viper 2008-10, 2013-15 Gen 3/4; 05030970aa . FREE SHIPPING!!! 30 DAY MONEY BACK GUARANTEE!!! CALIBER 07. No labor warranty is provided. (i.e. Transmissions, when installing a transmission the torque converter needs to be seated properly on the input shaft. If it is not seated properly and it is bolted to the engine, will result in a broken fluid pump.). Power Steering Fluid Reservoir Bottle Tank W/ Mount, 8.4l V10, 05030970aa, Viper Srt-10 Gen 3/4 2008-10 2013-15 . (exc SRT4),2.0L 10252018. CALIBER 07. C Grade - The third level quality part. B Grade - The second level quality part. It is of average miles and normal condition for its age. A Grade - The highest quality part. CALIBER 07 (exc SRT4). Model CALIBER. No Grade - A part that has not yet been graded. C Grade - The third level quality part. B Grade - The second level quality part. It is of average miles and normal condition for its age. "Our parts aren't used, just EXPERIENCED!!" CALIBER 07. No Grade - A part that has not yet been graded. C Grade - The third level quality part. B Grade - The second level quality part. It is of average miles and normal condition for its age. POWER STEERING PUMP EXC. SRT6 FITS 04-08 CROSSFIRE 154546. CROSSFIRE 05 exc. CROSSFIRE 06-08. CROSSFIRE 04. Special exceptions apply for engine sales. Engines are normally sold complete except for the starter,alternator,power steering pump and AC compressor. FAST & FREE SHIPPING, BUY FROM A TRUSTED SELLER! Model: DODGE NEON. Part Grade Abbreviations. cc = Credit Card size units. C = Greater than 200k miles. B = Greater than 60k miles and less than or equal to 200k miles but greater than 15k miles per year. Model: DODGE CALIBER. Power Steering Pulley. A = Less than or equal to 60k miles, or greater than 60k miles but less than or equal to 200k miles and less than or equal to 15k miles per year. B = Greater than 60k miles and less than or equal to 200k miles but greater than 15k miles per year. The information about the donor vehicle, mileage, and warranty is found below. CALIBER 2007 -2007 (exc SRT4). Model:CALIBER 2007. VIN: 1B3HB28B47D593252. Year: 2007. MPN: 37368. Mnt Sys Loc: System Mounted. FIND THE RIGHT PART FOR YOUR CAR. Overdrive has been in the automotive parts industry for over 15 years. QUICK LINKS. MIRROR ASSEMBLIES. MIRROR GLASS. OTHER PRODUCTS. 30 DAY MONEY BACK GUARANTEE! ALL PARTS TESTED! !